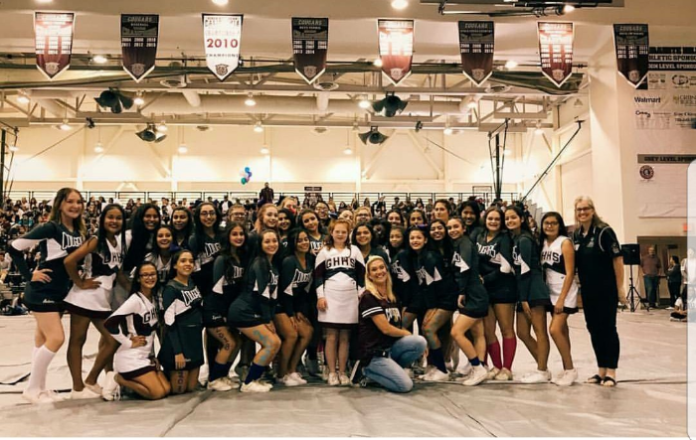 High Desert Granite Hills High School was recently named a Unified Champion School by the Special Olympics of Southern California (SOSC). The school was awarded this designation based on a collaborative effort by parents, teachers, advisors, coaches, and administrators. At the suggestion of Melanie Dube-Price, a parent volunteer SOSC area director and with the support of Principal Chuck McCall, special education teacher, Mike Sluder applied for the designation as UCS liaison. The SOSC awarded Granite Hills a $1800 grant to be used toward these efforts. Specifically, there are three necessary components in order to qualify for the title of Unified Champion School: Inclusion Youth Leadership, Unified Sport Competition, and Whole-school Engagement. Granite Hills offers school clubs promoting youth leadership and inclusion. Special education and regular education students work together as elected officers, as well as unified athletic teams in which several special education students practice and compete alongside their regular education peers. The Unified Sport Competition will be accomplished with a district-wide Field Day to be held April 4 at Granite Hills High School starting at 9:30 a.m. Field Day will encompass preschool students through adult transition students in the moderate/severe special education programs. There will be 9 schools and 168 students involved in activities of their choice such as bowling, basketball, running events, a softball and frisbee throw, and a standing or running long jump. Each student will be assigned a regular student “buddy” from their school for the day. The preschool students will hang out with an assigned high school athlete. “We are trying to build friendships across the entire student population and engagement and acceptance of all students. It’s a chance for these kids to go out and have fun with an opportunity they might not otherwise have. It’s a big event for us—promoting acceptance and inclusion for all people with or without a disability,” said Sluder. Some of the awarded grant money will be used for things like new games for the game club and the Field Day event where students will be provided with racing bibs with their names printed on it and medals for the day. Area SOSC volunteer director, Dube-Price’s sixteen-year-old daughter, Wyatt Jane was one of the first special education students to attend Granite. When Dube-Price’s daughter was selected to attend the school, she recalled a meeting with Principal McCall and all the special education student parents where he assured them Granite was committed to providing a good education for the students. McCall continues to hold monthly meetings with the parents which have been a vital part of being deemed a District Unified Champion School. Wyatt Jane started her freshman year where she participated on the cheerleading team graduating to the varsity squad this school year. On March 6, Granite will also participate with SOSC in an event called National End the R-word Day which encourages participants to “raise awareness year-round about the hurtfulness of the R-word (retard) by taking the pledge to never use this word again.” This event also serves to complete the final component of Whole-school Engagement necessary for a Champion School.